Promotional Glassware Custom Imprinted with Your Logo. Plastic Glassware – The polycarbonate alternative. Personalized Champagne Flute Glasses are elegant Custom Glassware for wedding receptions, anniversaries or corporate events. Stylish Personalized Glassware like champagne glasses is perfect for promoting your business. Imprint custom glassware with your message. Wine Glasses are perfect for toasting a great year or occasion. Unique wine glasses will catch eyes and help your company name get noticed. Personalized Glassware, such as our stemless wine glasses, can be imprinted with your promotional message. Beer Glasses are Custom Glassware that is ideal for bars, restaurants or corporate events. Consider giving away this Personalized Glassware as a promotional gift at a trade show. 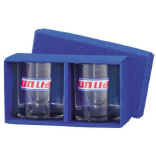 Imprint our custom glassware with your promotional message or logo. 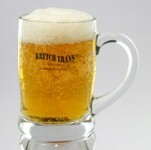 Glass Beer Mugs / Steins Every day’s a special occasion with printed beer mugs from ABC2000. These fantastic logo beer steins offer big-time marketing power. And our LOW COST prices on these custom imprinted glasses mean you can afford to print glassware in any quantity you want! Get your glassware with logo and get the party started. Shot Glasses are perfect promotional giveaways for your next marketing campaign. 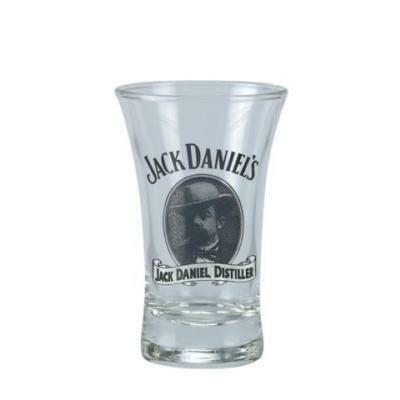 Custom glassware, such as printed shot glasses, is an impactful promotional item. Personalized shot glasses can be imprinted with your custom message or company logo. Our Tumblers & Drinking Glasses are a diverse and classy division of our glassware. Personalized Glassware and Custom Glassware can be imprinted with your logo. Drinking glasses are ideal marketing tools for your next campaign. *(red star) markeditems have glass imperfections, factory seconds glasses.